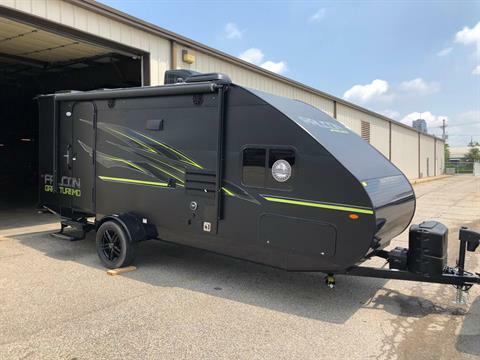 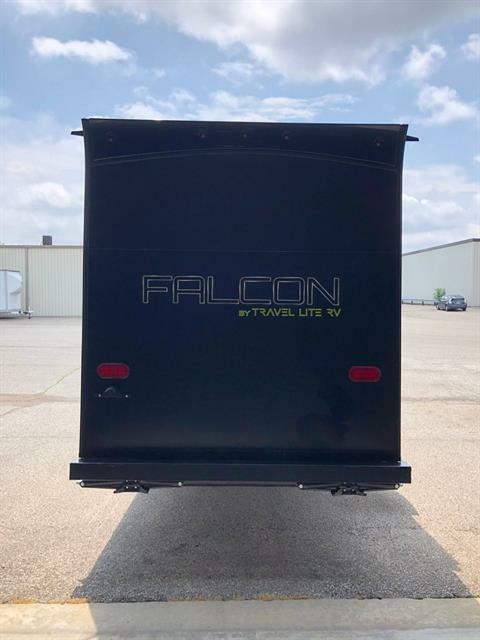 Falcon ultralites blend style, functionality and comfort…all while being the easiest and safest towing trailer in the market. The Falcon F-24BH above is in the GT package. 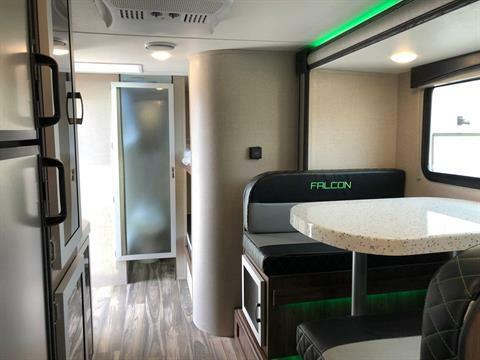 The Falcon F-24BH allows you to make those family memories that you will always go back to time and time again. 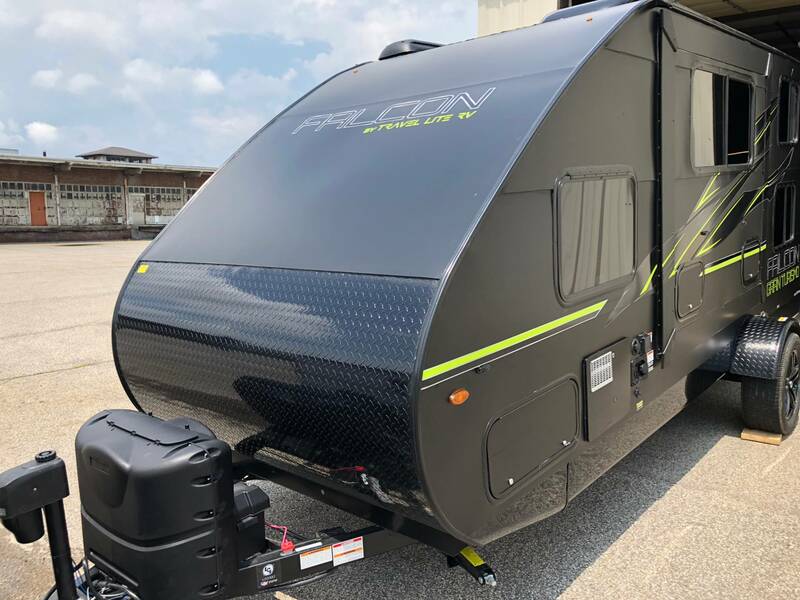 Take the whole family with you without having to worry about having to haul all that extra weight. 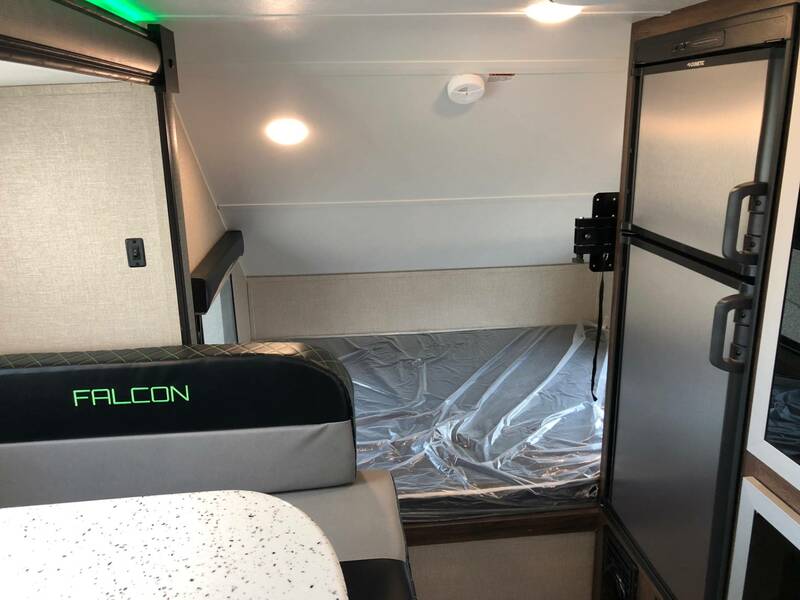 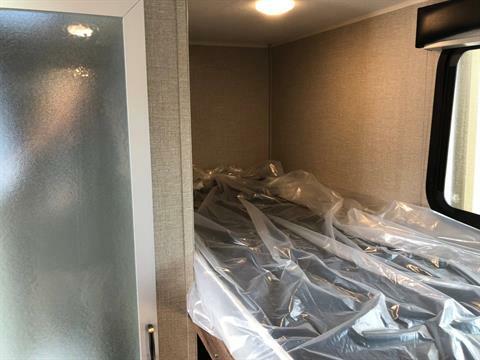 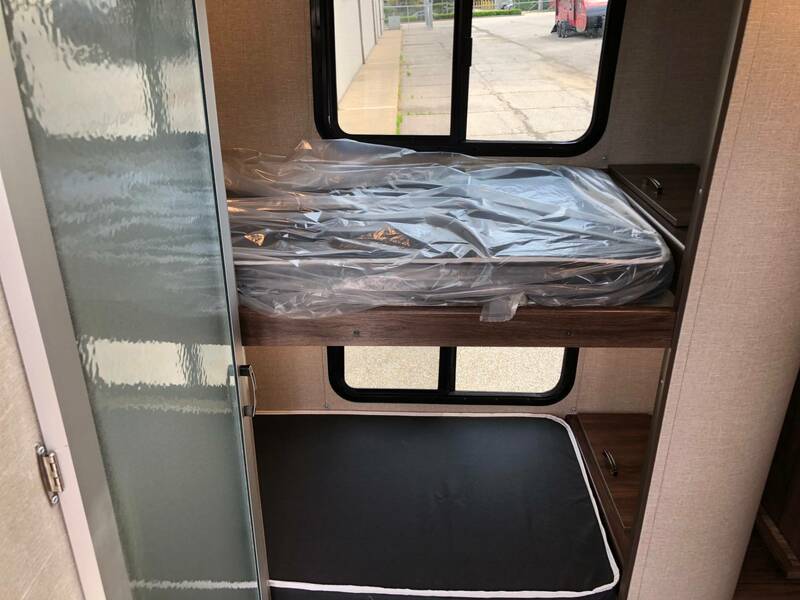 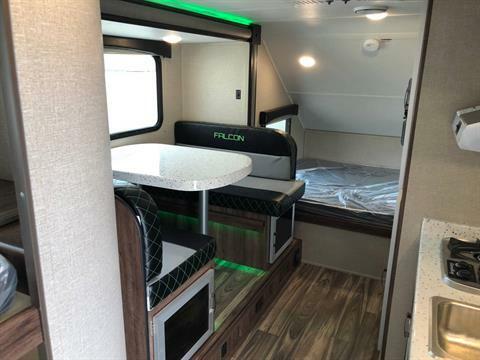 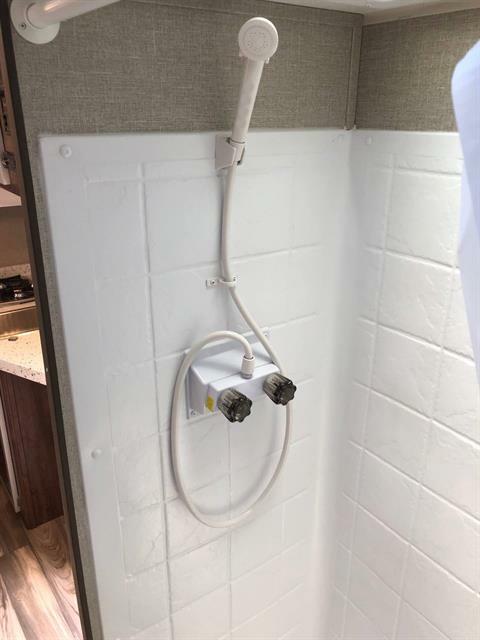 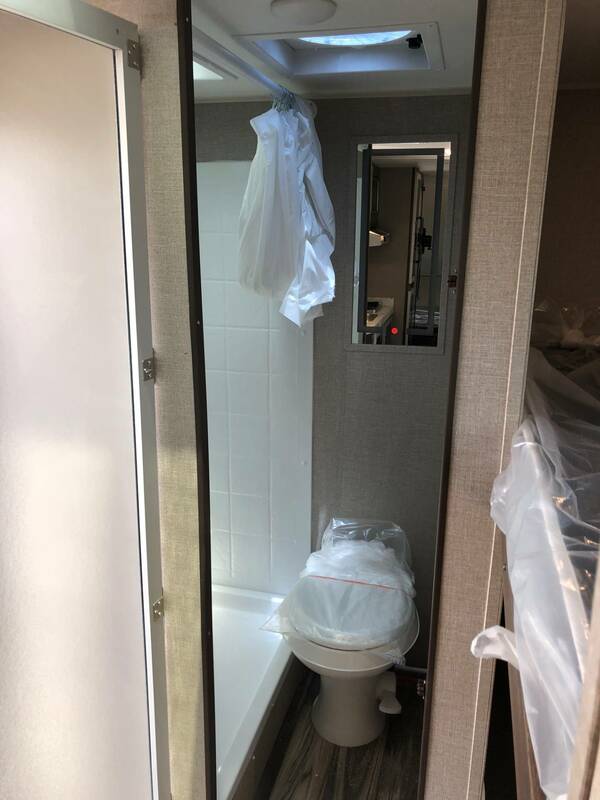 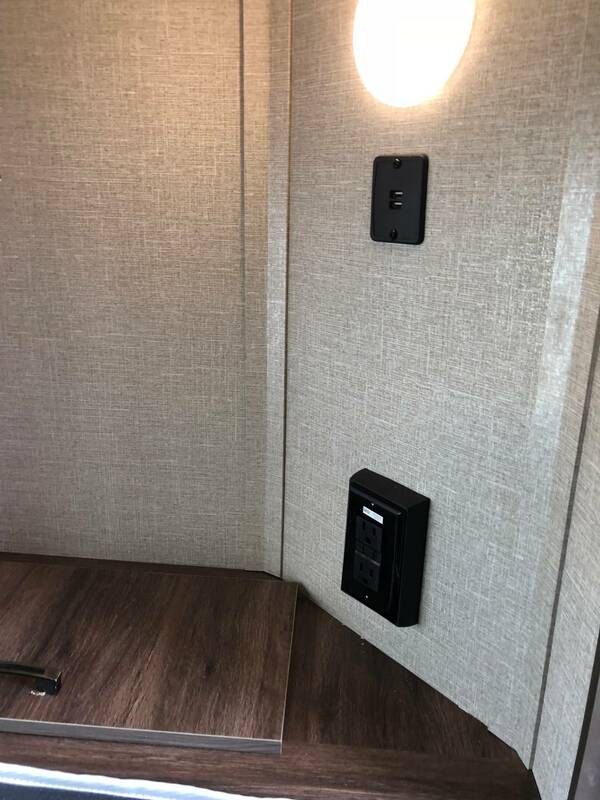 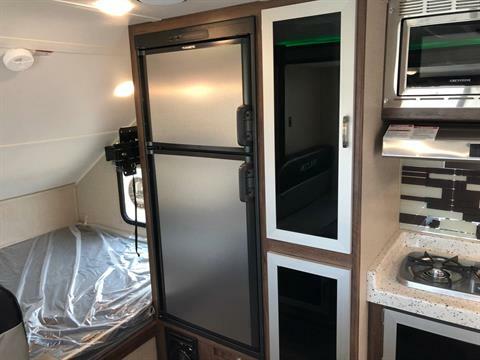 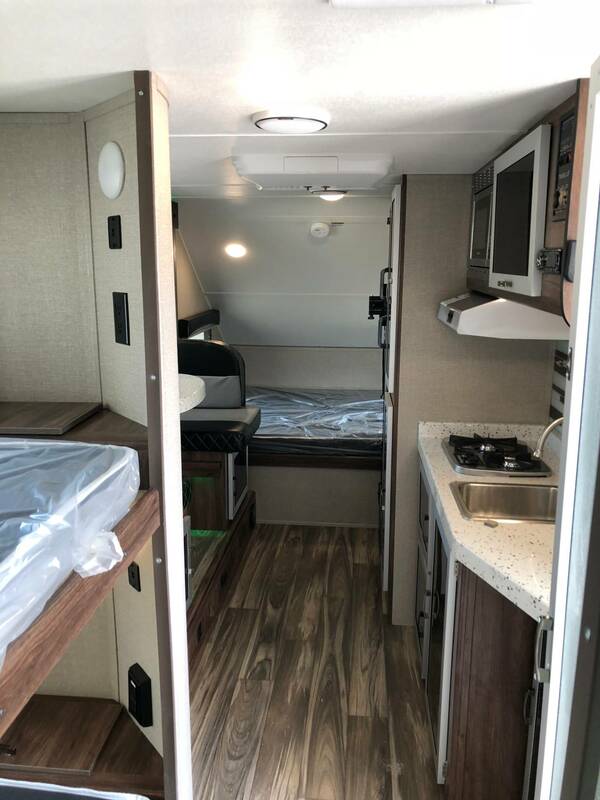 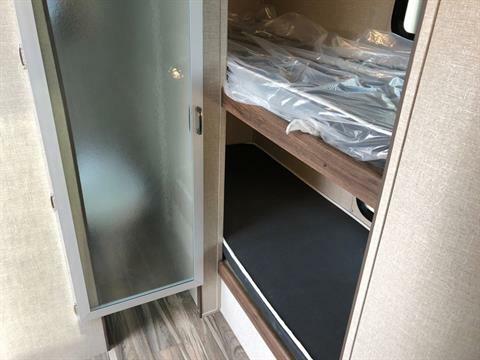 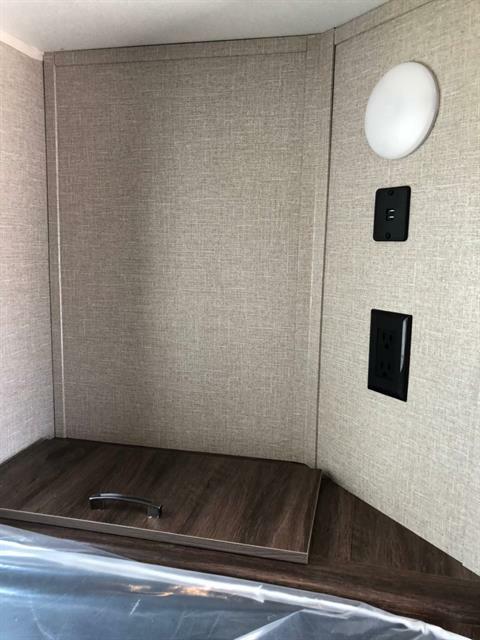 The separate rear bunks will keep the kids up to date with individual electronic charging stations built right in to their bunk. 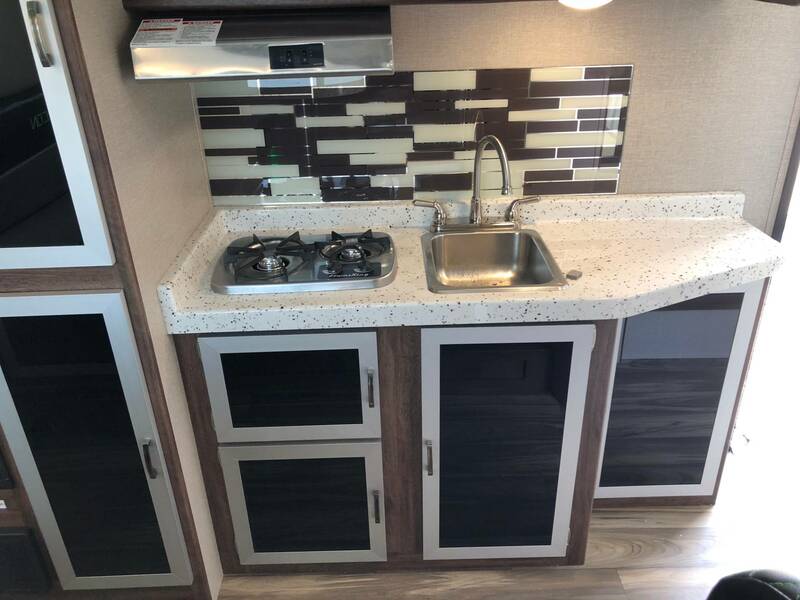 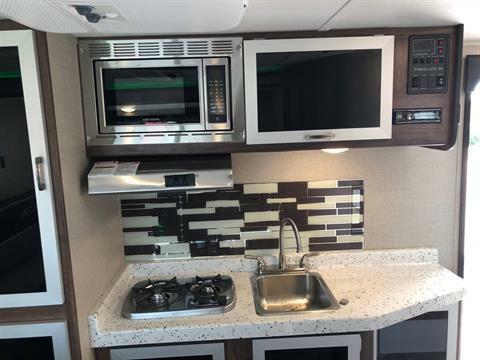 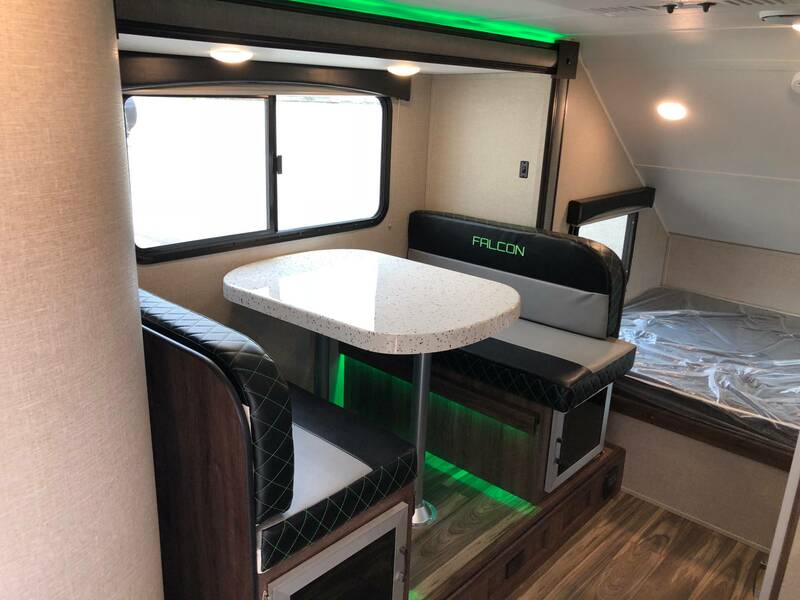 Don’t forget the slide-out room with the large dinette for meals with all the family. 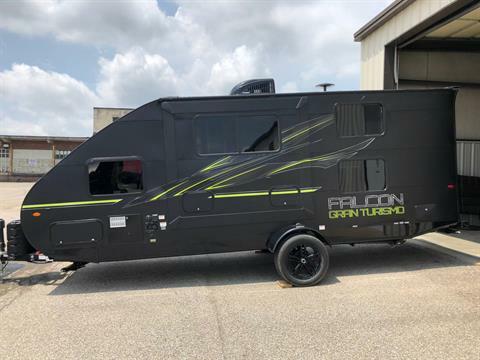 The premiere GT package for the Falcon offers custom color coordinated interior neon lights above the slide out and beneath the dinette seats, custom GT stitching on the dinette seat, upgraded booming Kicker speakers and stereo, huge 6 cu ft refrigerator with separate freezer, and 32″ indoor/outdoor TV make the GT package the ultimate “never needing anything else” package. 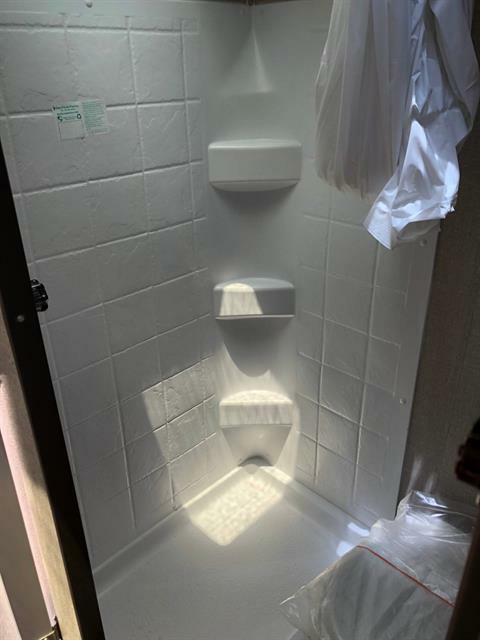 This unit is ON SALE now for $19,999 NO OTHER FEES.....EVER! If interested or for any questions you can call our store phone at 502-587-8496 or call or Dean at 502-724-4659.